Another poor quality photo but I swear the food was amazing. I loved the simplicity of the dish. 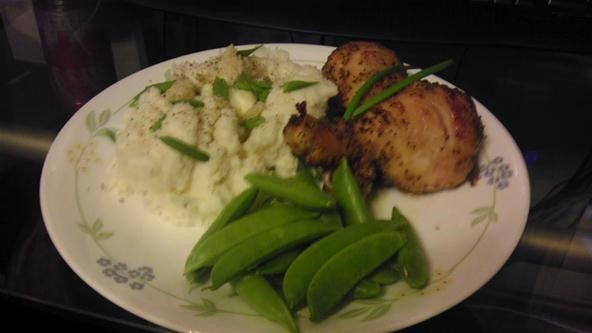 The crisp sugar snap peas, zesty lemon chicken and aromatic potato's (I tossed in some bay leaves and garlic cloves while the potato's boiled... I think it made a difference) really all came together quite well.